Colorado became the 15th U.S. state on Friday to adopt a "red flag" gun law allowing firearms to be taken from people who pose a danger, securing a deeply emotional victory for an Aurora shooting survivor. Democratic Gov. 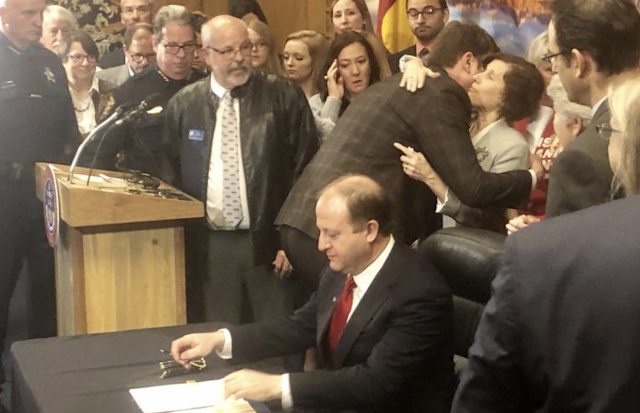 Jared Polis signed the bill, a top priority of his first term. It marked a painfully personal victory for first-term Democratic Rep. Tom Sullivan, whose son, Alex, was gunned down in the 2012 Aurora theater massacre that killed 12 people and wounded 70 others.